This concert was kindly sponsored by HSH Dr Donatus Prinz von Hohenzollern. The annual concert by the Royal College of Music graduate students is always popular in the TBS. 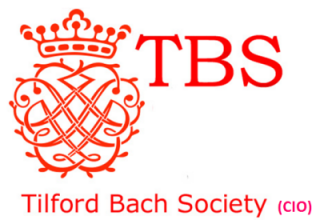 Normally the visiting musicians change each year as they are invited by Adrian Butterfield, the TBS Director of Music, who teaches some of them, to perform individually or as an ensemble. The difference this year, at a concert on 27 February, was that there was no difference from last year. The same students visited, but this time as an ensemble called Hippeastrum (Latin for amaryllis). 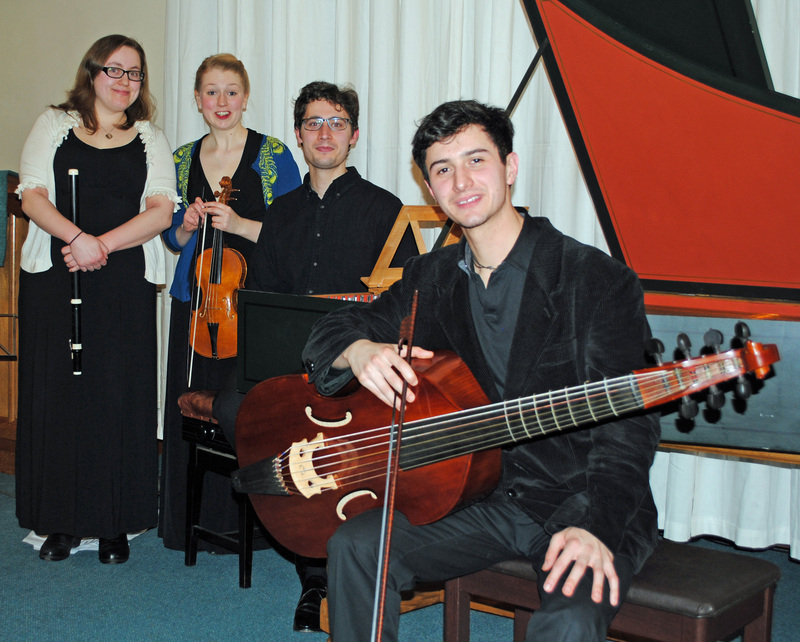 They are a very good baroque foursome that includes players of the violin, flute, viola da gamba and harpsichord. The authentic period instruments on which they play are generally quieter and sweeter in tone than their modern equivalents. The concert started with the full ensemble playing the Concerto 1 in G major by Georg-Philip Telemann, the “father of German music”. This was an excellent opener that delighted an audience that almost filled Farnham Methodist Church. This was followed by a Sonata for Flute and Continuo by the composer Johann-Joachim Quantz, prolific in composing for the flute which was the favourite instrument of his employer Frederic the Great of Prussia. Sophie Clayton explained how flautists the world over were eternally grateful to Frederic the Great for having contrived a wonderful repertoire of flute solos for all time; the audience seemed to agree with this when they heard her performance. The final piece for the first half brought the ensemble together again for a piece by JS Bach from his renowned Musical Offering. The audience was told that this was a piece that also resulted from the intervention of Frederic the Great who took advantage of a visit by JS Bach to see his son CPE Bach (employed by the king). Bach senior composed his Musical Offering as a result of this visit. The second half included the ensemble playing the Sonata in D major for Violin by Handel which introduced some recycled tunes from operatic interludes. This was followed by music for the viola da gamba by CF Abel. Whilst the flute has a large solo repertoire, the viola da gamba does not. But this composer was himself a player of the instrument and Guillermo Martinez played an interesting compilation of pieces written by the German composer for his special instrument. He displayed wonderful skill in this unusual piece. The concert ended with the Trio Sonata in B-flat Major by CPE Bach, played by the ensemble, a piece that was highly enjoyable and very well delivered. And then, as an encore, the audience received a treat – a special rendition of an arrangement of Bach’s Jesu Joy of Man’s Desiring. This concluded an excellent TBS concert that was very warmly received.